I never knew that five weeks into my freshman year of college I would be flying to Santa Barbara, CA for a training seminar. I joined the group Young Americans for Freedom only five days after moving in, and am now the treasurer of the group. I have been working tirelessly alongside all of our members and officers to promote our values and make our presence known on Rocky Mountain College’s campus. Young Americans for Freedom is a national nonprofit organization that unified with Young America’s Foundation in 2011. YAF chapters have been established all over the country on high school and college campuses to promote the ideas of strong national defense, individual freedom, free enterprise, and traditional values. Travelling has been, and will continue to be, a perk of being a member. 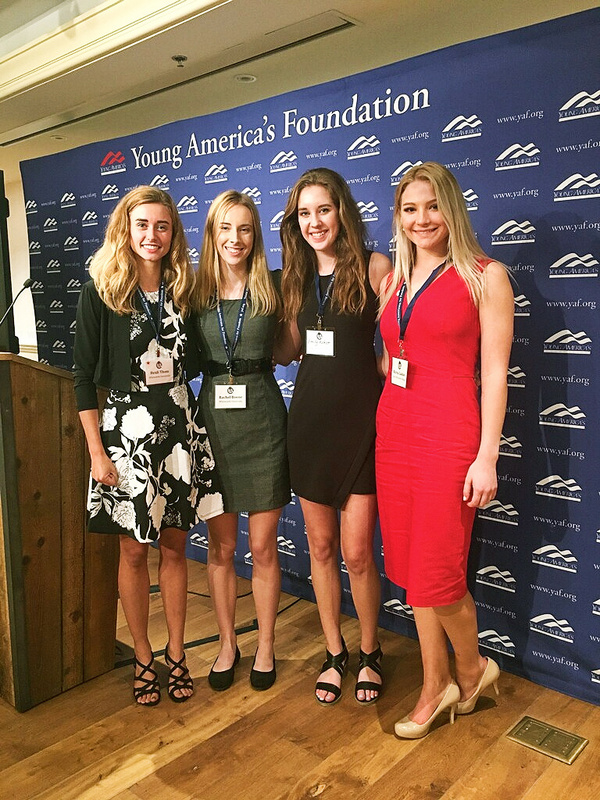 The trip to Santa Barbara was almost completely paid for by YAF, and a wonderful opportunity to hear from many successful people. I attended the conference with the chairwoman of the club, Rayna Laakso, who deserves all of the credit for establishing the first YAF chapter in Montana. It was an amazing experience for us both, and we learned more information than I could have ever imagined. Before arriving, I was convinced that two Montana girls being thrown into the big city of Los Angeles was bound to be a disaster, but aside from struggling to maneuver our way through the airport, everything went smoothly. Once we arrived at the Reagan Ranch Center, we were greeted by some of the nicest people I have ever met. Lunch was served while we listened to speakers, including Fox News’ Steve Hilton. For the majority of the afternoon, we listened to YAF leaders and coordinators speak, giving us advice on how to improve and grow our chapters. Some of this advice related to finances, media and press coverage, tabling, and hosting speakers. We also had the chance to listen to the stories of many students from all around the country. It was an amazing opportunity to meet people from larger schools, such as the University of California, Los Angeles and the University of Florida. That night, while eating dinner, we listened to Ann McElhinney talk about her book and movie, “Gosnell: The Untold Story of America’s Most Prolific Serial Killer.” Everyone was given a copy of the book as well. This was one of the most moving experiences of my entire life. She was an amazing speaker and I commend her for everything she has accomplished. I highly recommend that everyone read about the Gosnell case and watch the movie, which is showing in theaters right now. On Saturday, we were driven up to the Reagan Ranch, where I learned so much about the former president Ronald Reagan and saw true pieces of history. The trip may have only been two days long, but it was the most inspiring, educational two days I have ever had. I would like to thank ASRMC for graciously working with us to make this trip possible. YAF offers many other opportunities to travel and we will continue to take advantage of those opportunities as time goes on. Our group meets every Sunday at 5:30 p.m. in the Selover Board Room. We welcome anyone who is interested in joining, and if you have any questions you may email us at yaf@rocky.edu.